With an unparalleled bias for action, we proactively advocate for transformative city planning and legislation that helps ensure Denver remains a vibrant, world-class city. Working collaboratively with our partners, the Downtown Denver Partnership advocates for policies that facilitate establishing Downtown Denver as one of the most vibrant, healthy & growing center cities in the country. We work to ensure that legislative and ballot issues and City policies positively impact our Members and our center city. We believe that the most important thing you can do in advance of voting on May 7th is to educate yourself. As a city builder and active part of this thriving community, your voice and your vote are critical to the future of our center city. 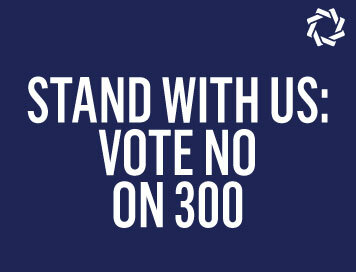 The resources below provide information regarding the Partnership’s opposition to Initiative 300 and outline the viewpoints, values, and visions of each candidate running for municipal office. The results of the May 2019 Municipal Election have the power to have major impacts on our city, with implications that would change our economy, the public realm, transportation infrastructure, and Denver’s future. Thank you for taking the time to be an educated voter. Your vote matters to Downtown Denver. 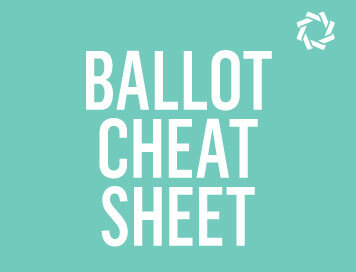 Downtown Denver Partnership's Municipal Election Ballot Cheat Sheet lists each of the candidates running for Mayor, City Council, Clerk & Recorder, and Auditor. The Sheet also summarizes Initiated Ordinances 300 and 301 and details the Partnership's opposition to Initiative 300. Take a look for an overview of what you can expect to see on your May 2019 ballot! The Partnership convened a Municipal Election Task Force consisting of Members and stakeholders representing a variety of industry sectors. The Task Force collected candidate questionnaires and conducted in-person interviews with over 50 candidates running for municipal office. The Partnership does not take positions on candidates, but rather believes in the importance of educating our Members and stakeholders on the positions and values of each candidate. 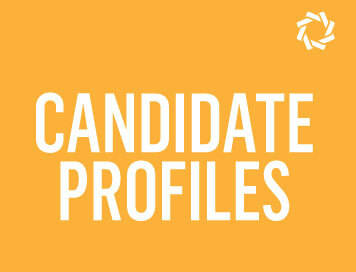 Get to know your candidates and learn about their positions and values regarding parks and public spaces; transportation, Initiative 300, and other topics important to the health and vibrancy of Downtown Denver. The Downtown Denver Partnership joined Together Denver, a broad, diverse coalition, to oppose Initiative 300 in an effort to support our city’s future and treat those experiencing homelessness with dignity. We believe in building a safe, welcoming and inclusive city. One where everyone can thrive, not just survive. We know that homelessness is complex, and not an issue with a “one size fits all” solution. We believe in the importance of continuing to work towards a multi-faceted, dignified approach that not only meets the needs of our neighbors experiencing homelessness but also provides empowerment through strong services, facilities, and resources.